Jaquie Goncher was injured when she jumped into a pool. 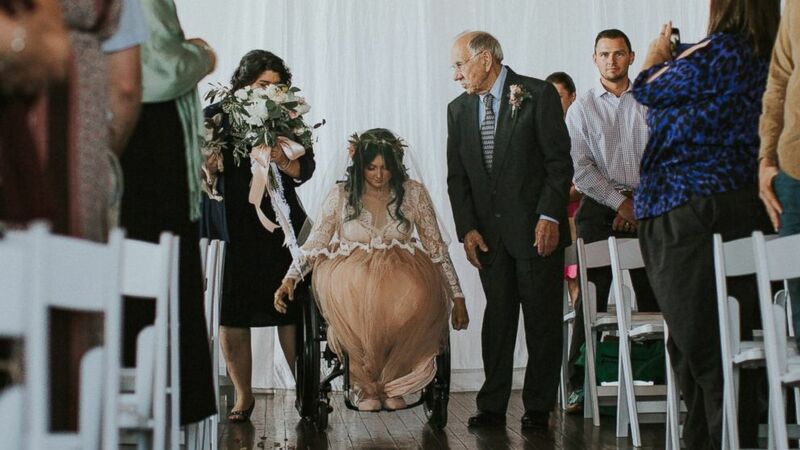 A 25-year-old bride who suffered a spinal injury after jumping into a pool was able to walk down the aisle on her own and dance at her wedding. Jaquie Goncher of Marietta, Georgia, was paralyzed from the neck down in 2008 at the age of 17 after she jumped into a friend’s pool. She said she was told by doctors at the time there was “no chance” she would ever walk again, but she was determined to prove them wrong. Goncher worked with physical therapists and in the gym on her own and regained the ability to stand, although only for short periods of time. 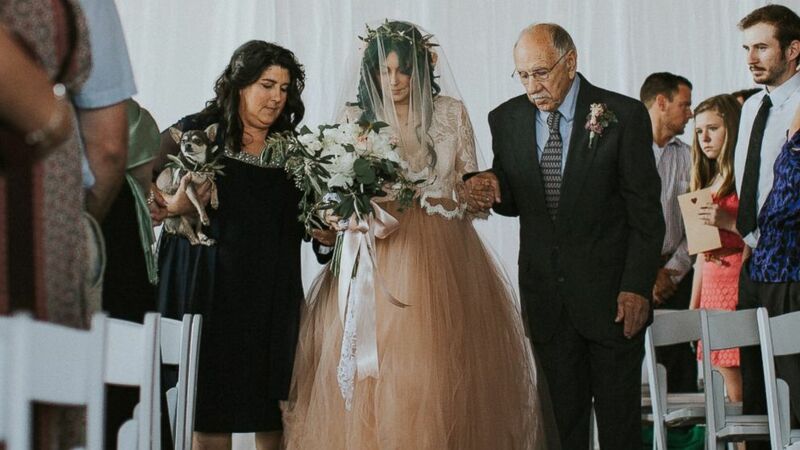 When she became engaged to her now-husband, Andy Goncher, in August 2015, she set her sights on being able to walk down the aisle on her own and dance at their wedding. When the couple tied the knot in Atlanta in May, Goncher accomplished her goal. She walked down the aisle, stood during the ceremony and danced at the wedding reception, all with her wheelchair out of sight. (Love Stories by Halie & Alec) Jaquie Goncher, 25, walked at her wedding in Atlanta in May 2016 after being told by doctors she would never walk again after a pool accident. Goncher’s first dance at her wedding was captured by a live-event painter. 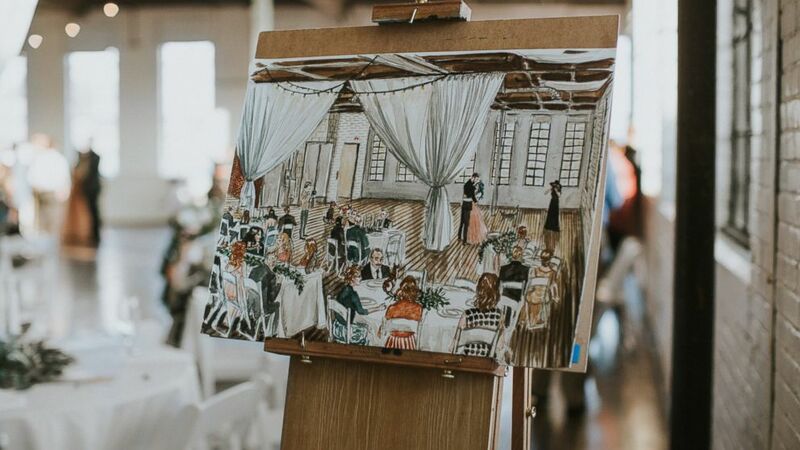 The painter, Maggie Smith Kuhn, posted photos of her painting on Reddit, where they have gone viral thanks to their near-exact resemblance to the stunning photographs taken by the wedding photographers.